As the natural forest cover in Ethiopia is already less than 3% of what it once has been, the banana frog species, dwelling exclusively in the remnants of the country's southwestern forests in only two populations, is exposed to a great risk of extinction. Through their survey, a research team, led by Matthias De Beenhouwer, Biodiversity Inventory for Nature Conservation (BINCO), Belgium, have now extended the species' range, thus making the first steps to saving the charming frogs. The study is published in the open-access journal ZooKeys. Although Ethiopia is known for its high number of both animal and plant species that do not live anywhere else in the world, there is a concerning lack of conservation activities to preserve the local biodiversity. 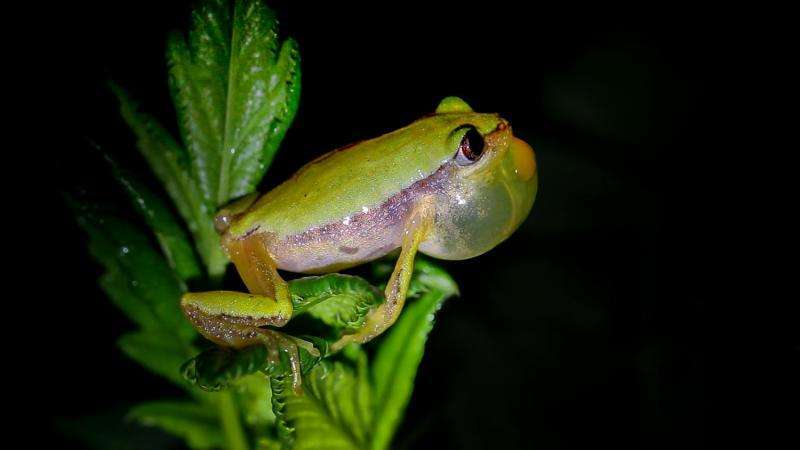 Moreover, while as much as 41% of the amphibians ever recorded in the country are exclusive for its fauna, there have been only few researches. Without such, pointing the hotspots in greatest need of protection and restoration, as well as taking adequate measures subsequently, is impossible. Concerned about the endangered status of the banana frog, and supported with a Rufford grant, Matthias and his team spent ten evenings, or 111 hours, in August 2014, seeking and collecting as many frogs as possible from seven different locations. 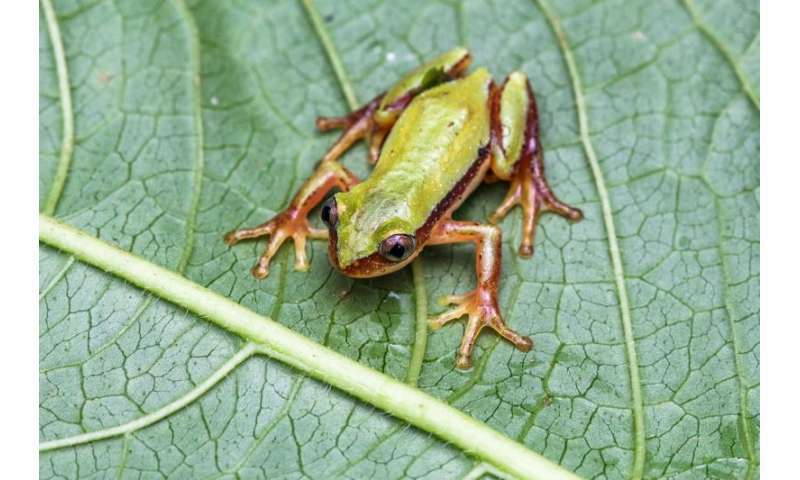 When they determined the species status of the found individuals, it turned out that they have managed to discover several new populations of banana frogs from unexpected localities. 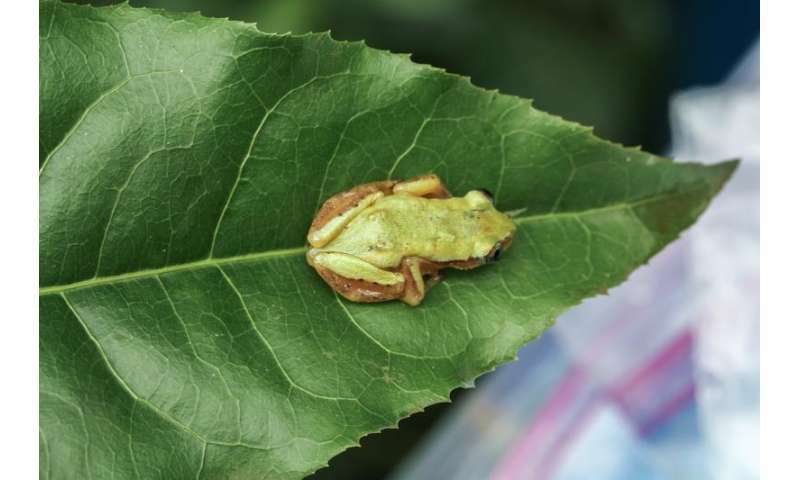 As a result of their survey, the geographical range of the Ethiopian banana frog has been expanded by roughly 40 km towards the North and 70 km to the East. Its altitudinal distribution already reaches a maximum of 2030 metres above sea level, compared to the previously known maximum of 1800 m.
Banana frogs being identified from outside forest habitats is also a good news for the species' preservation since it shows that not only are the frogs more tolerable against forest degradation than expected, but that also there could be even more populations. "Although Southwest Ethiopia is known to harbour the last large tracts of natural forest, forest cover has declined dramatically to less than 3% nationwide," point out the researchers. "Therefore, accurate information on species conservation and distribution is an essential first step to facilitate the delivery of conservation updates, recognize biodiversity hotspots and encourage habitat protection and restoration."